UCL and the University of Toronto are hosting a weekend-long public event celebrating a genre of Afghan women’s poetry traditionally used to address social injustices and cultural taboos. The event, Language, Legacy and Landey, takes its name from the Afghan oral poetic genre known as landey which is mostly attributed to women. It will take place on 16 and 17 March at the University of Toronto and is being organised by UCL’s Vice Dean International (Social and Historical Sciences) Professor Ruth Mandel and the University of Toronto’s Professor Shafique Virani as part of a joint seed-funded project. Landey poems address everyday life as well as geopolitics, and have long been one of the few arenas where Afghan women express their feelings and thoughts relatively freely. One of the most famous figures in landey poetry is the female rebel Malalai, who led Pashtun soldiers against the British in the Battle of Maiwand in 1880. 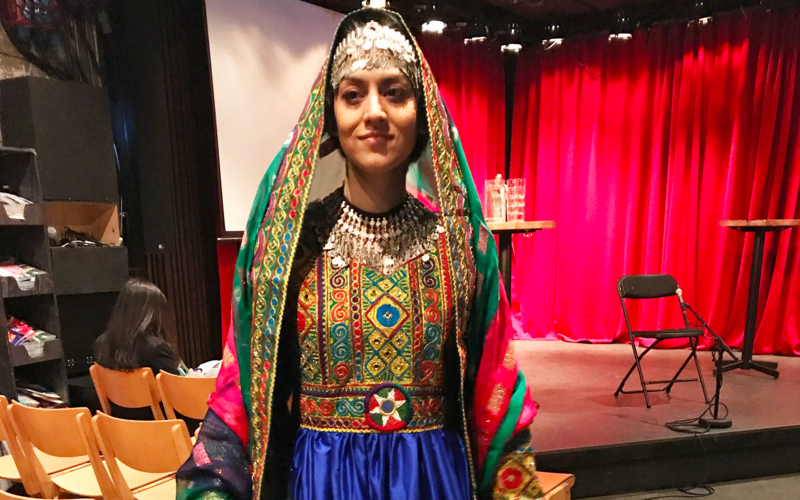 Local Afghan students and the wider Afghan community in the Toronto area are involved in the project, which incorporates wider themes of cultural heritage, poetry and translation, gender, immigration, diaspora and digital humanities. It builds on Professor Mandel’s collaboration last year with the Norwegian Institute of Philology, which saw similar events take place in London and Oslo. Funded by UCL’s Global Leadership Funds, the collaboration was established by Professor Mandel to enable creative expression among refugees and to recognise the prominence of language in the immigrant integration experience. As a result of this collaboration, a book of the original landeys is due to be published in Norway and several Norwegians from Afghan and non-Afghan backgrounds will participate in the Toronto project. UCL and the University of Toronto have a longstanding partnership. The institutions share a joint funding programme which has supported collaborations addressing challenges in the areas of cities, child health and education.